Search engine optimisation helps your business get more qualified leads, improving your conversion rates and increasing sales. Whether you are a start-up or an established business firm, Complete Cloud has SEO solutions to suit every budget. Call us at 1300 736 600 for details on our SEO plans and pricing. Our SEO packages include an initial website audit and analysis. The detailed analysis helps you understand how your website is performing right now, parts where it is doing really good and parts that need to be worked upon. We provide you a detailed report on the keywords your online business competitors are targeting so that you have an idea of new search terms that are doing well. We also let you know the level of competitiveness of your chosen keywords. Our webpage optimisation techniques include Keyword research, Meta & Alt Tag optimisations, HTML & XML Site Map installations, Content & Blog optimisations, Broken link check, Google Analytics set up & Webmaster account. Our website promotion techniques include Content Marketing using Article and Blog submissions, Video marketing, Photo sharing, Social media sites optimisation as Facebook, Google+, LinkedIn, Twitter, Press releases & Google Local Listings. Get a dedicated point of contact with our SEO packages. Your SEO account manager will manage all SEO activities related to your account and provide solution to all your queries. You can get in touch with your account manager anytime for any issues that you might have. At Complete Cloud, we provide you detailed analytics reports that showcase the behaviour of your visitors. Get an idea about parts of the website that are doing great and ones that need improvement and make changes to your SEO strategy accordingly. At Complete Cloud, we provide you weekly, fortnightly and monthly reports on your website ranking and traffic. Our comprehensive reports give you a detailed understanding of how your website has performed over a period of time. Get anytime help over phone, email & chat. 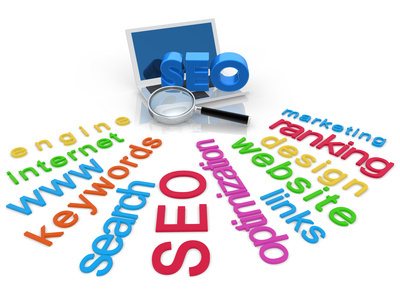 Our SEO experts will help resolve any issues that you may have with your ongoing SEO projects. At Complete Cloud we provide unmatched support to our customers!